We've been a part of the community for over 20 years. We pride ourselves on our personalised service, attention to detail and value for money. 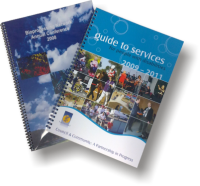 Our range of printing equipment means we are able to handle your job quickly and cost-effectively. Whatever your printing needs, you'll get a great result.